wise and prudent saver, canny and shrewd investor. 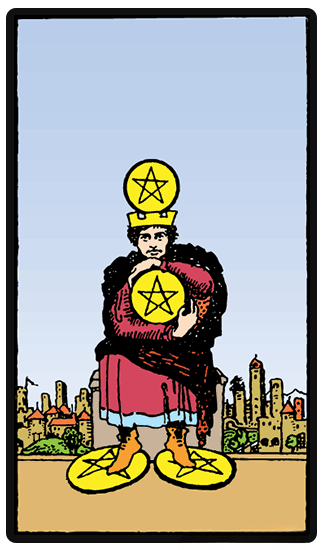 Possible embezzlement, with other appropriate Pentacle card central may simply show theft (mainly Five of Pentacles central). can show stormy emotions, upsets and quarrels but also distance relationships (people separated by distance, particularly if the Three precedes The Lovers). 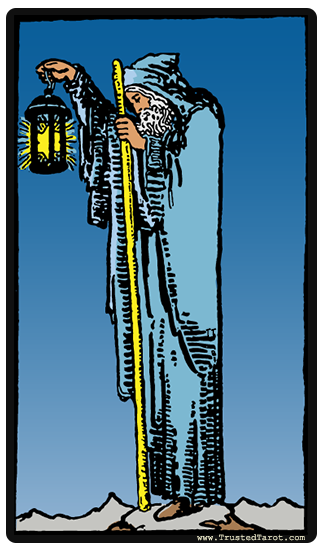 Similar to the Five of Cups, it’s a ‘small’ card so check the card following to clarify where it’s going.